Having been at the season opener against Barnsley in August 2002, little did I know that just two months later I would be up in the press box as a full-time member of the Swindon Town staff logging the match report – via a dodgy modem connection. Things could have been very different had I accepted an American football scholarship that summer. 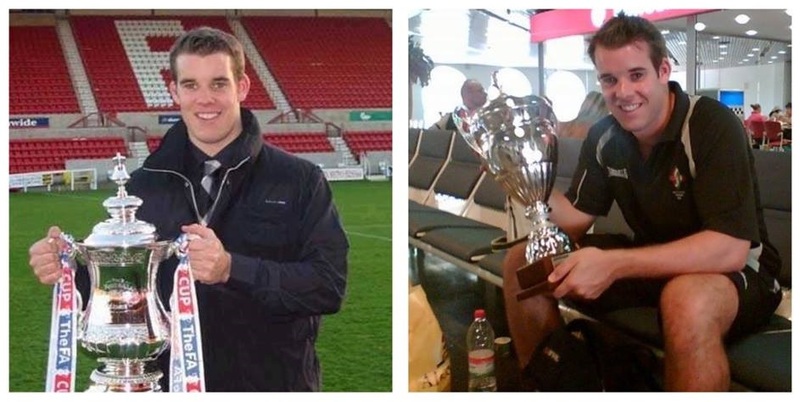 However, I chose to wait a year for the draft and in the meantime accepted a job as Website Editor at Swindon Town – the club I supported – dream job for a fresh-faced 20-year old! Eight months – and a steep learning curve – later, I made the step up to Media & Communications Manager following Nick Judd’s switch to bigger and better things. The American dream went out of the window and I was in at the deep end as one of the youngest press officers in the Football League. Time to learn, and fast. So what was the role? Anything and everything. The official roles were that of Press Officer, Programme Editor, Website Editor, Video Editor, Photographer, Social Media Manager (added some years later) and Player Liason Officer. These were all roles that bigger clubs would divvy up into departments with several staff, but most League One clubs at the time survived with one or two in their media ‘department’ – or in some cases a bolt on to the role of secretary. Days were long and the usual format was eight Saturdays off a year with a six and a half day working week. The unofficial roles included a vast amount of taxi work, filing through players’ CVs for a trial game, late night County Ground security and acting as a go-between for managerial appointments. Looking back, I experienced pretty much everything you could go through as a press officer during my time at Swindon. New owners, failed takeovers, several administrations and even a plane crash. I think one set of potential investors arrived, took over an executive lounge, kitted it out and started on the champagne before they’d put a penny in. We were often left to wonder ‘I bet this doesn’t happen at other clubs’, but there wasn’t a lot that didn’t happen during my 11 years as an STFC employee. It is safe to say football clubs are unique working environments. Pre-season trips were often the most entertaining. I saw the two ends of the spectrum, from the disposable BBQs on the beach down in Devon; return trips to scenic Obertraun in Austria to the spectacular surroundings of Lake Garda under you know who. Volunteering to drive to Italy seemed like a good idea at the time, until Claudio Donatelli (the fitness coach) pretty much emptied the contents of the gym into the van, weights and all. It was a long drive. Then there were the managers. Around ten came and went along with several in a caretaker capacity. They all differed in their ways of working from the methodical to the tempestuous. Getting the manager’s notes for the programme could either be a dream or a nightmare. Some would come in on email, proof perfect, and others would be scrawled on the back of (several) old envelopes. Some managers were hardly seen at the club, basing themselves at the training ground then heading home, whereas others would be in at the crack of dawn and spend time with staff, genuinely taking an interest in the office. You’d usually find good working relationships between the players, management and staff at League One and Two level. It came with the territory when working for that sort of club I suppose. I had heard of Premier League employees not allowed to look players in the eye, let alone speak to them. The years working under the likes of Andrew Fitton and Nick Watkins were probably the most organised. The directive of running the club like a business rang true and it was a pleasure to be a part of. Huge amounts of work went into marketing, media and more importantly, fan engagement during those days. 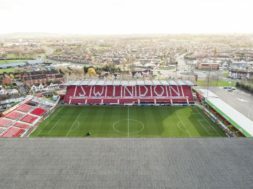 It was a great time to be involved and whilst there were some mistakes made, everyone was generally pulling in the same direction for the benefit of Swindon Town Football Club rather than individual gain. The charity initiatives of those years were hugely enjoyable. We got an office team together and cycled from The County Ground to away games including Brighton & Hove Albion, Tranmere Rovers, Wycombe Wanderers and Yeovil Town. League status is an interesting one as whilst the club is struggling at the moment – due to various reasons – the overall position seems somewhat cyclical. The relegation seasons of 2005/06 and 2010/11 were followed by promotion at the first attempt. Crowds increased and it got the feel-good factor back. Paul Sturrock escaped League Two with, in his words, ‘gazelles and giraffes’ whilst the Di Canio success was bankrolled almost game by game. Recruitment seemed sporadic and the ‘bomb squad’ proved costly. Do I miss it? Yes and no. 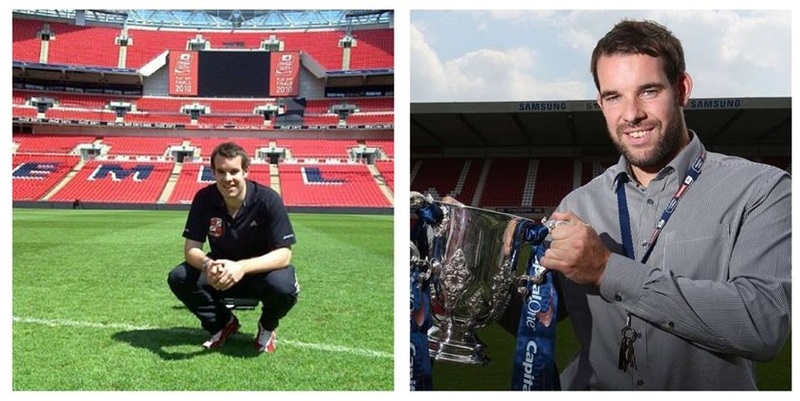 Having worked at the same place for 11 years it took some adjusting to life away from STFC. 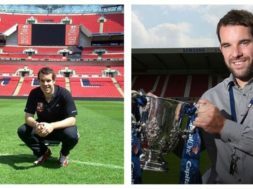 Looking back the workload was incessant, but being employed by a football club, despite the utter madness a lot of the time, gave me very special memories that I look back on with amusement and fondness and I loved doing the job. Now back to following as a fan, I will be looking on from the outside across what will undoubtedly be another turbulent summer. Whatever happens, good or bad, it probably will not come as a surprise.